Last edited by johnfoyle on Tue Dec 17, 2013 6:59 pm, edited 13 times in total. John, I have often noticed that you are the first to post the most obscure references to EC. How do you do it? Do you trawl the internet for mentions of the man, or do you have a team of researchers? Google news, Google Blog, Feedster, Worldnews.....four search engines , bookmark them , check them each time I'm online.....mere minutes involved........amazing results! However this one was a real 'stumble upon'. On a whim I was checking if http://www.Gemm.com had any Juliet Letters vinyl ( has anyone ever seen it in this format?) and saw this release listed. Hey both the performers have the same surname: Murray. Based on their rather intimate cover shot I hope that means that they're married and not related. Diana Krall's probably looking at that pose and thinking "I wish I'd thought of that for my last album!" So anyone heard this? Should I get it? Neil. wrote: So anyone heard this? Should I get it? Yes, & yes you really should. Remarkable. In the same year that saw the long awaited re-issue of EC & The Brodsky Quartet's work, we've been treated to three new recordings of the cycle. Whereas Michelle & David Murray turned in a most interesting re-invention for piano & soprano voice, Tini Kainrath & StringFizz (like the earlier Kerry-Anne Kutz & The Abysse Qt.) play from the original text - and they really give it some stick!!. Great stuff. so long as i don't lose this glorious distress..."
In preparation for the Secret Songs production ( which will include some of the Juliet Letters) I've been listening to a taped, random selection of the Kutz/Murray/E.C. and The Brodskys' versions of these songs. Right now I prefer the Kutz ( slight Karen Carpenter vibe there, another of my secret vices) vocals . I look forward to Tini Kainrath & StringFizz version. I think I've ordered a copy - does 'Danke fÃ¼r Ihre Bestellung' mean 'Thank You For Your Order'?!?! johnfoyle wrote: ... I think I've ordered a copy - does 'Danke fÃ¼r Ihre Bestellung' mean 'Thank You For Your Order'?!?! tv channel ARTE and our 28 minutes-movie." present for some of it. Crikey! Another Juliet Letters production. Are Elvis' people keeping quiet about them because they don't want to distract from the incorporation of some of the songs in the Secret Letters show in Copenhagen in March '07? They play only nine songs of The Juliet Letters, mixed with other music and songs. One of these other songs is Franz Schuberts Streichquartett "Der Tod und das MÃ¤dchen". The play is directed by "balletdirector" Mei Hong Lin from Tai Wan. Musical singer Randy Diamond sings the songs. The play has nine scenes and some of these scenes seem to be based on some of the Juliet Letters songs. For instance: a scene about a soldiers letter seems based on I Thought I Write To Juliet; a scene about a jealous wife seems based on For Other Eyes and a scene about a rich woman and her relatives who want only her money can only be based on I Almost Have A Weeaknes. Some of the other scenes (about a furious female boxer (to-Chi Tsao), who recognizes the emptyness of her existence during the training or about two men, who are not yet a pair, but fight to become one) seem not directly related to the Juliet Letters stories. These are some of the dancers: Yuko Harada, An-Chi Tsao, Flavie Hennion, Julio Viera Medina and Maura Morales. The string quartet are: Olga Pogorelova and Emre Tamer on violin, Klaus JÃ¼rgen Opitz on viola and Albrecht Fiedler on cello. All the reviews rave about the play! The Juliet Letters- a magical and romantic evening of delicious food and cabaret music! 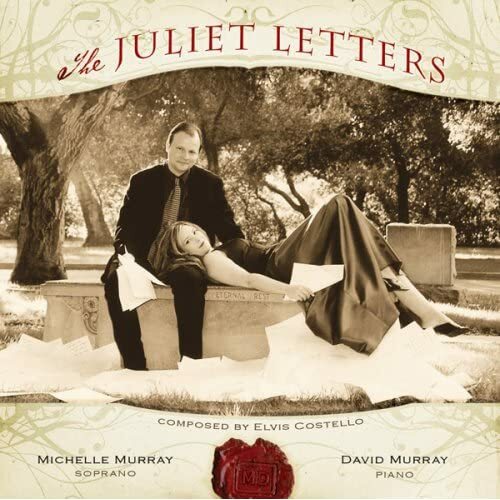 The Juliet Letters was originally conceived and composed by pop legend Elvis Costello and the Brodsky string quartet. The work imagines mail addressed to the most famous female resident of Verona, Italy. This poignant work, for voice and sting quartet, is alternately joyful and tragic, just as the Bard would have liked it. The evening would begin at 6:30pm with a 2 course dinner (including an appetizer, an entree and a non-alcoholic drink). At 7:45pm, concert goers would make their way to the Montclair Art Museum for a performance of The Juliet Letters featuring Manu Narayan, star of Broadway's Bombay Dreams and the acclaimed Valkyrian String Quartet. Audience members who participate in this special Valentine's Day evening would then be served a glass of wine, dessert and coffee/tea during the performance. This fantastic evening of dinner, music, wine, dessert and coffee/tea is being offered at the low cost of $75 per person. Choice from one of Montclair's finest restaurants - Lalezar, Marrakech and Taj Palace. What are niche festivals for? Do they promote cross-cultural understanding, or do they coddle and preach to the converted? In the case of the Chutzpah! Festival, it's a little of both. Although this year's edition draws 19 productions from Israel, the United States and across Canada (including a fistful of world premieres), it runs almost exclusively within the Jewish Community Centre. Nevertheless, the lineup of dance, theatre and music is daring enough to draw curious Gentiles as well as lifelong members of the JCC. Story Direct from Israel, Tomer Sharon and the Israeli Contemporary Quartet perform a theatrical adaptation of Elvis Costello's album The Juliet Letters. When a Verona professor answers missives addressed to Shakespeare's ultimate lover, a catalogue of variegated romance unfolds. Conceived and directed by Atay Citron, SÃ©ance combines covers of Costello songs with original monologues. Niche notes "The Chutzpah! Festival offers me a chance to perform without having a commercial draw," Sharon says. "When things are too artistic, it's hard to raise money." Details English world premiere. Feb. 18, 20 and 21. $12 to $20. at the Jewish Community Centre, 950 W. 41st Ave., 604-257-5145. The full schedule is at http://www.chutzpahfestival.com. Romeo's SÃ©ance is a stage version of The Juliet Letters â€“ a disc by Elvis Costello and his collaborators, members of the distinguished Brodsky String Quartet. The music was originally recorded in 1992. It is based on a newspaper story, according to which a certain professor in Verona was answering the many letters that had been addressed to Juliet Capulet, the Shakespearean heroine of Romeo and Juliet. The professor apparently felt obliged by compassion to respond, in Juliet's name, to lovers from all over the world, who were seeking advice and support. This enigmatic story gave birth to a musical piece that is made of twenty letter-songs, each being a monologue of a different character, either writing or receiving a letter. In the stage version, Costello's songs are interpreted by the actor and stand-up comedian, Tomer Sharon (Tomash). In each song, Tomash offers a brief sketch of a different character â€“ men and women alike. The show is an emotional rollercoaster ride that is both moving and funny and is based solely on letters dealing with love and death. Tomer Sharon, who is a well-known television star in Israel, is seen here for the first time as a dramatic actor-singer. With him on stage are the members of the Israel Contemporary String Quartet â€“ Hadas Fabrikant (1st violin), Tali Goldberg (2nd violin), Amelia Hoalnder (viola) and Hila Epstein (cello). These young musicians, who specialize in contemporary chamber music, have already won prizes, the acclaim of the critics and the appreciation of both the audience and professional musicians. In this show, they add acting, singing and dancing to their performance as string players. Romeo's SÃ©ance is an interdisciplinary performance. While music is the dominant element in it, visual images are of primary importance .A t.v. cello (homage to the artist Nam June Paik, who invented this instrument in the '60s) is also in use, fusing visual and aural images as part of the mise-en-scene. The piece was conceived, developed and directed by Atay Citron, formerly the principal of the School of Visual Theatre, Jerusalem (1993-2000), artistic director of the Acco Festival of Alternative Israeli Theatre (2001-2004) and presently, chair of the Department of Theatre, Haifa University. Gawd, I got the piano one. couldn't listen for very long I'm afraid! I thought it was a bit embarrassing. Think it needs someone with a stronger voice! I am selling The Juliet Letters by Kerry-Anne Kutz & The Abysse Qt. on ebay at the moment if anyone is interested! Spring Festival - "Sonic Divergence: A Confluence of Musical Originals"
Thursday, April 10, 7:30 p.m. 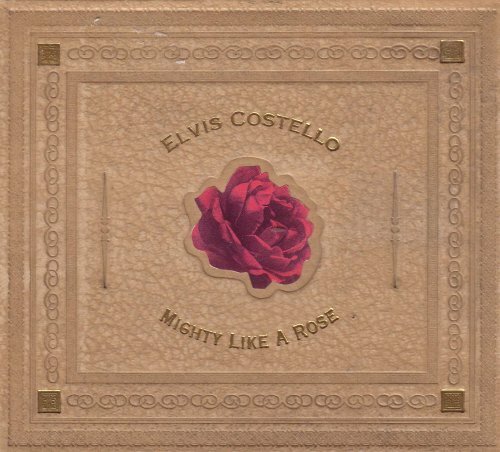 The 1993 collaboration between pop star Elvis Costello and England's renowned Brodsky String Quartet was inspired by reports of a Verona professor who was answering letters he found addressed to Juliet Capulet. The result was a critically acclaimed series of 20 dramatic ballads, influenced by the songs of Kurt Weill and Bertolt Brecht, in which male and female characters of varying ages and degrees of sanity tell stories of love, betrayal, and death. Don't miss this little-known theatrical, musical gem. melodrama that Elvis brings to it but he had a really nice voice and did a great job.There wasn't any set up for the performance other than a blurb in the program which was for the whole season of performances. People looked a bit confused with Swine and then laughed out loud at I Almost Had a Weakness. Funny to see the reactions. Weirdly, even though I've heard these songs a zillion times, some of them seemed to have different points of view this time. Hello - David Murray of 2murraysmusic.com and the piano version of The Juliet Letters here. I was searching for other references online to TJL and came across this fantastic forum. I'm happy to see that my arrangement has sparked some discussion and gotten some responses, whether they are positive or negative. I've loved the original Juliet Letters album since it was released in the early 90s and always wanted to find a way to perform the songs rather than simply listen to them - but as I'm a pianist rather than a strings player, had to find some other way to do it. My ex-wife Michelle and I had fun recording and performing them across Southern California despite the quality of her voice which I, in fairness, must admit is not the strongest. Anyway, just wanted to drop a line and say thanks for your comments - whether you enjoyed our recording or not! Thanks for contributing David - good luck with your future endeavors. Inkwell Strings, Dennis Manuel (Army of Me) performs Elvis Costello’s The Juliet Letters. IOTA Club & Cafe. $12. +21. ARMY OF ME'S DENNIS MANUEL PERFORMING THE MUSIC OF ELVIS COSTELLO'S THE JULIET LETTERS W/ THE INKWELL STRINGS. Polish actress / singer Katarzyna Groniec, has just released Listy Julii, which is simply a re-make of Juliet Letters. Different sequence of songs and arrangements are done for saxophone, trombone, French horn, tuba, clarinet, piano, bass guitar and drums. So far it's getting very good reviews. This sounds fascinating. Following the English language link at the first link above I think (!) I've ordered a copy, at c.€15, including postage to Ireland.